Some people seem to have a nose for finding things. The archaeologist James Mellaart is one of them. His nose led him to a discovery that changed the way we think about the beginnings of human civilization. That discovery, in central Anatolia, made him famous, and envied. Fame – and envy – led on to misfortune: one of his prizes vanished mysteriously into thin air, and his greatest find was snatched from him before he could finish work on it. All those who worked with Mellaart use the same word to describe him: “brilliant”. Some even call him a genius. A nose for where to dig and how to dig plays a large part in archeology – at least, it did until archaeology went post-modern. As a young man (he was known always as ‘Jimmy’), Mellaart found an Iron Age brooch on a seemingly barren hillfort in Herefordshire, and a Mycenaean bronze hoard on Cyprus. Later, at Jericho, he was sent out one morning to look for tombs by the leader of the dig, Kathleen Kenyon, a pupil of the celebrated Sir Mortimer Wheeler. At lunchtime he came back to announce he had found one, intact. A top prehistorian was called in, spent two days down the hole and came up with the verdict: “You’ve got it!” ‘It’ was the moment when modern man took over from his cave-dwelling ancestors, the moment when he turned from hunting and gathering to agriculture. By that imaginative act of insubordination, Carswell said, Mellaart had “joined history to prehistory.” Mellaart’s greatest moment was to come. In the early 1950s he made a survey of the Anatolian hinterland – then considered an archaeological desert – largely on foot, identifying and later working on several sites. He led his first dig at Hacılar, near Burdur, producing painted pottery and female figurines suggestive of the Anatolian mother-goddess Cybele. In November, 1958, he turned his attention to Çatalhüyük, a mound or ‘tel’ which he had seen from a distance five years before on the plain of Konya, a place considered too high, wild and remote for human settlement. Work began in 1961. With almost the first slice of the spade Mellaart discovered the ruins of a neolithic city. Under a mound 500 metres long and twenty metres high were revealed thirteen levels of habitation dating back nine thousand years and housing up to ten thousand people at the peak of its existence. Inside the mudbrick houses and shrines – which had no front doors but were entered through the roof – Mellaart and his team found bull’s heads, skeletons, mirrors of black obsidian, plaster reliefs, and wall paintings so extraordinary that their interpretation remains controversial to this day. Çatalhüyük was not as old as Jericho, but it was three times the size and a much more advanced example of the Agricultural Revolution, a transformation of human society greater even than the Industrial Revolution of modern times. Mellaart’s discovery put Turkey right on the map of early civilisation. On the eve of his eightieth birthday in November 2005, I visited Mellaart and his wife Arlette in their flat near Finsbury Park in north London It is a run-down area, largely taken over by Muslim immigrants; but the ornaments and décor of the Mellaarts’ small apartment transport the visitor back into an even more exotic world, the ancient Near East. Mellaart described his intuition for discovery as “a feeling of being able to tell if a mound contains something more than just rock.” In his case intuition had been supported by “good book knowledge and my training in the Iron Age”. His early enthusiasm for geology and Egyptology were also a help. Mellaart still speaks with the Dutch accents of his youth. His family lived in Holland where his father, descended from Scottish migrants called ‘Maclarty’ (a sept of the Clan Macdonald) was an expert in Dutch old master paintings and drawings. Caught in Holland by the outbreak of the Second World War, the son found a job at the museum in Leiden, which “kept me out of German hands.” After the war he read Egyptology at University College, London, before joining the British Institute of Archaeology at Ankara. It was on a dig at Fikirtepe, near Istanbul, that he met Arlette Cenani, the adoptive daughter of a prominent Turkish businessman (her own father, a Romanian, had died when she was twelve). Arlette – herself a trained archaeologist and fascinated by the subject since the age of ten – was immediately attracted by Mellaart’s intelligence. They married and had a son Alan, who is today a headhunter (of the corporate sort) in Istanbul. Among the archeologists they knew were Max Mallowan and his wife Agatha Christie, whose detective stories they had admired but whose person they found rather remote. Students, too, were carried away by Jimmy Mellaart’s enthusiasm, imagination and intellectual brilliance. Even those who later disputed his interpretations continued to admire him. It was while he was still in only the fourth season of his dig at Çatalhüyük that the sky fell in. 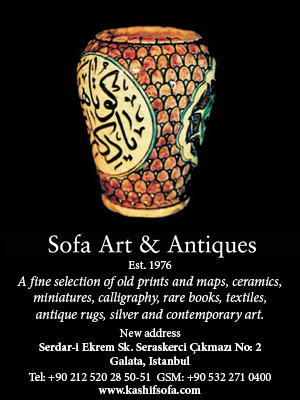 The Turkish authorities, responding to three years of clamour in the Turkish press about the smuggling of artefacts abroad, cancelled Mellaart’s permit, forcing him to return to London. Some objects apparently from his sites had turned up outside the country, and the Turkish press, led by Milliyet, sought a scapegoat. Mellaart was the most famous archaeologist in Turkey. More significantly, he was the man involved in the mysterious ‘Dorak affair’. In 1959, at the instigation of the British Institute, The Illustrated London New had published Mellaart’s drawings of an extraordinary hoard of objects, said to have been taken clandestinely from the village of Dorak, not far from Troy, in the 1920s, and shown to the young archaeologist in strange circumstances. Travelling on the train to Izmir in the summer of 1958, Mellaart said that he had met a girl called Anna Papastrati who was wearing a solid gold bracelet which he could not fail to notice. She told him she had many more things like it at home, and invited him back to see them. Mellaart had no camera with him, and the girl would not allow him to hire a photographer. So for several days he stayed at her house in the suburbs of Izmir drawing the treasures. After some months she wrote giving him permission to publish the drawings. But when attempts were made to trace the treasure, neither it, nor Anna Papastrati, nor even the house where she lived, could be found. If the Dorak hoard was genuine – and Mellaart thinks it was – it would prove the existence of a powerful trading empire coincidental with the Early-Bronze-Age Troy whose treasures Schliemann found. The loss of Çatalhüyük (the site did not re-open until thirty years later), remains a bitter memory to its disoverer. Mellaart returned to London to be a lecturer at the Institute of Archaeology. But he was not finished with his Neolithic city. He described to students more wall paintings which had not appeared in his preliminary reports, and which, when they were finally published in 1989, caused another sensation and more controversy. These ‘reconstructions’ (featured in Cornucopia, Issue 19) were based on drawings made at the time by several members of the team, including Mellaart himself. Unlike the previous wall paintings, which were taken to the Ankara museum, these had been impossible to remove or preserve. Mellaart explained that they were burnt, or otherwise damaged, impossible to photograph, and had to be sketched quickly before they crumbled to plaster dust. These murals illustrated the world as it looked to the people of Çatalhüyük who lived around 6500 BC: panoramic views of their landscape with volcanoes smoking or erupting in the distance; birds-eye views of the Mediterranean and its islands; scenes of men sowing and tending cattle; herds grazing; storks and flamingoes flying in formation overhead; a train of ox-drawn sledges wending across the plain. Other paintings showed what appeared to be goddesses with panthers or vultures,and formalised patterns of bulls and streams, birds and human figures, in which Mellaart perceived the origins of the Turkish kilim. As detailed as any written record, these Neolithic narratives provoked a frenzy of excitement, especially among rug dealers, who drove prices up to record levels. They also provoked a storm of protest and disbelief which rages still. For, as with the Dorak treasure, there was no photographic evidence, no independent means of testing the accuracy, even the existence, of these astonishing murals. Now that the excavation of Çatalhüyük has resumed, of course, there is always the possibility that more such scenes will be found. The site is now under the direction of Prof. Ian Hodder of Cambridge University, whose approach to archaeology – he calls it ‘post-processual’ – is infinitely painstaking, and therefore much slower. Mellaart had hoped for something by now. “I think it’s absolutely unbelievable with the small area we dug and the large area he has scraped that there shouldn’t be more,” he says. Hodder’s team have found a number of wall paintings, of geometric design like some of those originally recorded by Mellaart. These have been transferred to the Konya museum. But no more ‘narrative’ scenes have yet emerged. It is beginning to look as if vindication, if it comes, will come too late for Jimmy Mellaart. Some like their asparagus translucently white, others prefer crunchy and green. Whatever your choice, it takes lightness of touch to reveal the delicate flavour. You embarked in Paris or Vienna and alighted at Sirkeci station, an Oriental fantasy in the shadow of the Topkapı Palace. This was the train that brought Istanbul into the heart of modern Europe: the fabled Orient Express. Cappdocia, ‘Land of the Beautiful Horse’, was once famous for the fine steeds that bore its valiant knights. Few horses are left, but they can still transport you into another world. The photographer Jürgen Frank captures the eerie magic of the Anatolian plateau, Susan Wirth is exhilarated by five days in the saddle and David Barchard guides us through the epic landscape. Kevin Gould waxes lyrical over Château Musar, a legendary wine from the old Ottoman Levant, and salutes the brave new Turkish winemakers who stay true to their roots. After the grim years of the early 1920s, Turkey experienced a brief period of euphoria. A new Republic was born, and new faces appeared in this land of hope, among them the brilliant but now forgotten photographer Othmar Pferschy (1898–1984), who turned up on the Orient Express in 1926 and stayed for forty years.